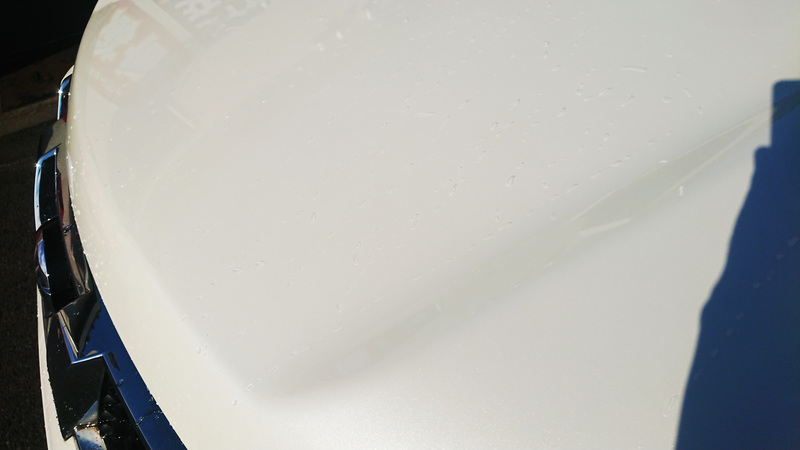 I applied Pika Pika Rain PREMIUM Ceramic Coating to my brand new car after washing. Some photos which wipers stand are before the application. 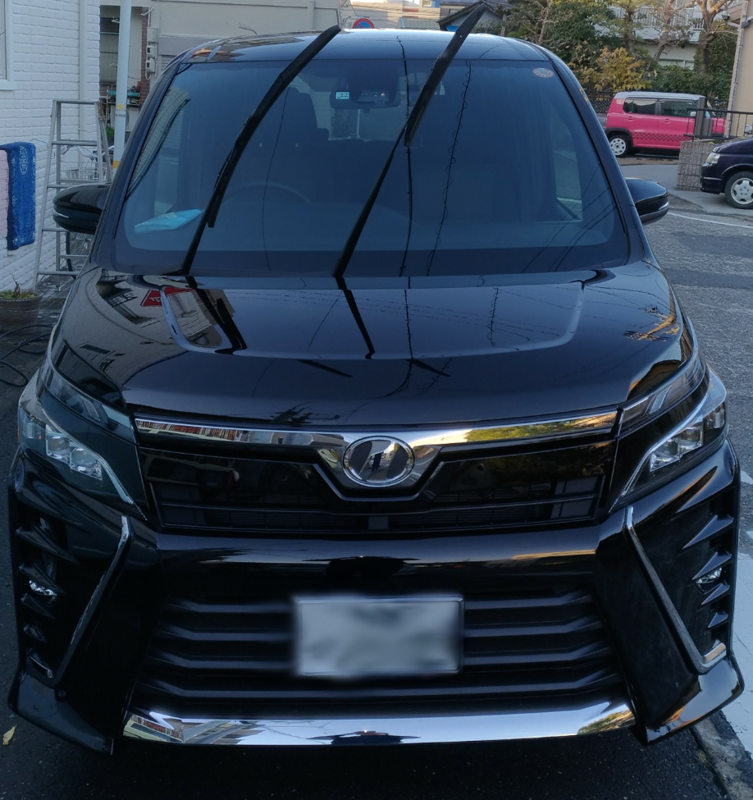 I had already known Pika Pika Rain PREMIUM Ceramic Coating by radio commercial and I wished to apply it by myself if I could have a chance, so I decided to order it when I bought my brand new car. First, I doubted whether the liquid was enough, but when I tried it, it spread very well so I could applied it widely. The works were just applying and wiping. I did until dusk and when I checked the car body in the next day, I found some foggy parts, so I wiped them immediately. I noticed that the application should be finished during the noon. After the application, its black color became deeper. I’m really satisfied with it. I took a photo after raining from the next night. 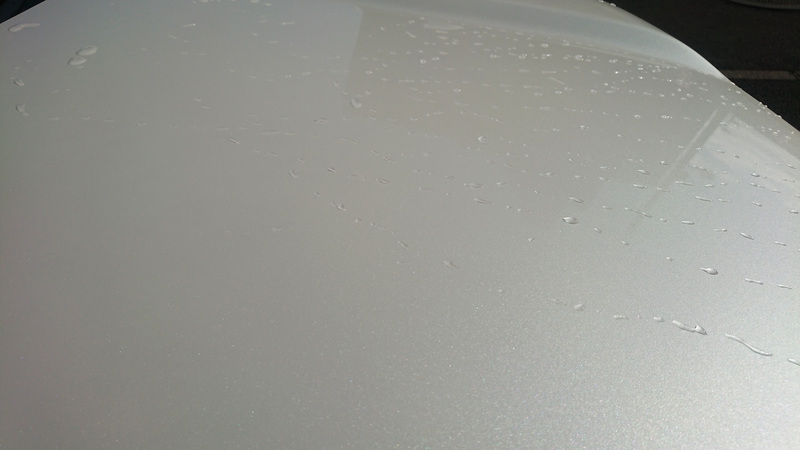 There were water spots on the car body. I was impressed it because it was nice to see both of hydrophobic and water-sliding effect. 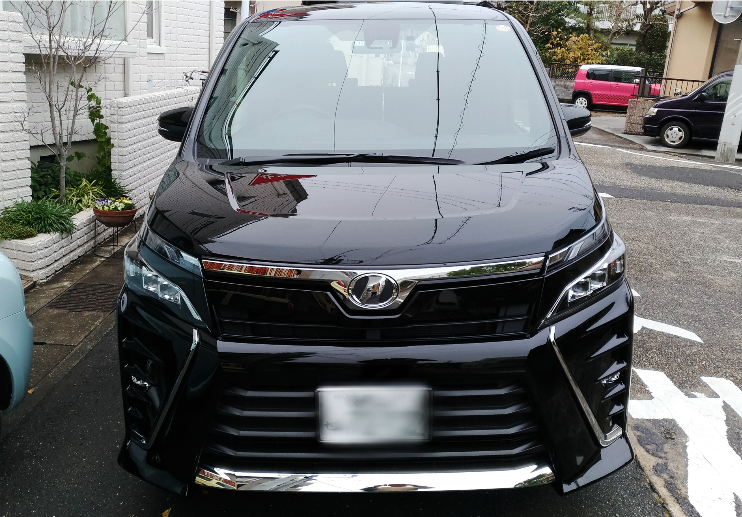 so I’m going to do the maintenance works to keep its deep black color. 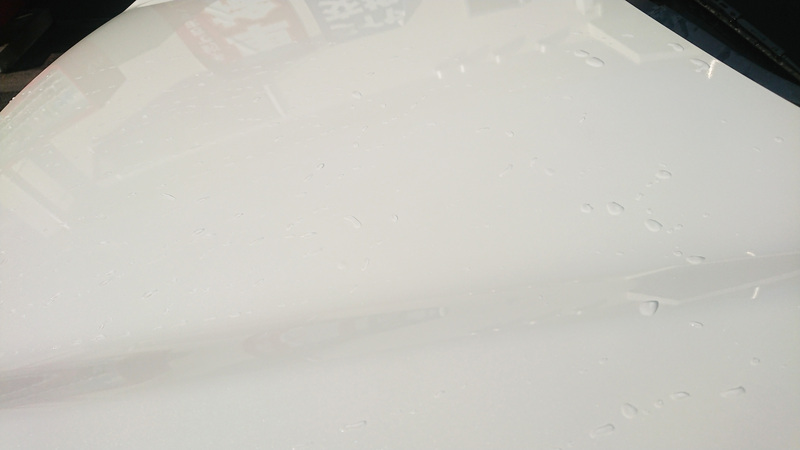 Pika Pika Rain PREMIUM Ceramic Coating was very nice product which my expectation beyond. Same as Window Pika Pika Rain had nice water repellency, too. Usually I’m not welcome rainy days, but from now, it will make me happier than before. 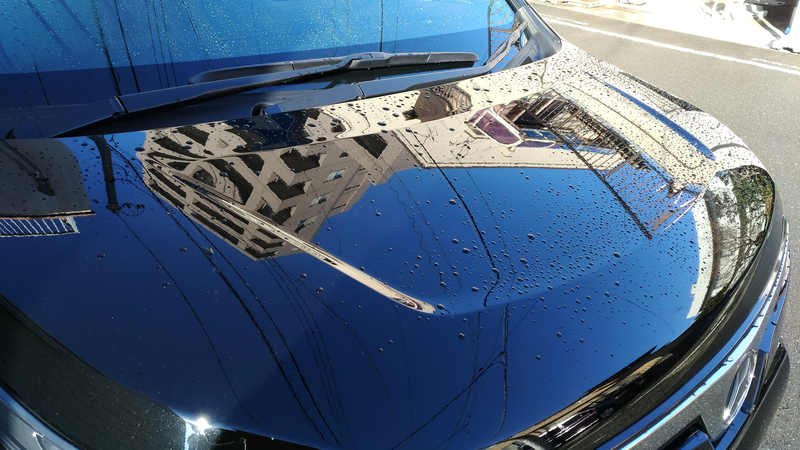 I applied Pika Pika Rain PREMIUM on my car body and WINDOW Pika Pika Rain on the windshield on 5 March 2018. No power needed and very easy to apply. I parked my car outside with no roof for 3 months. 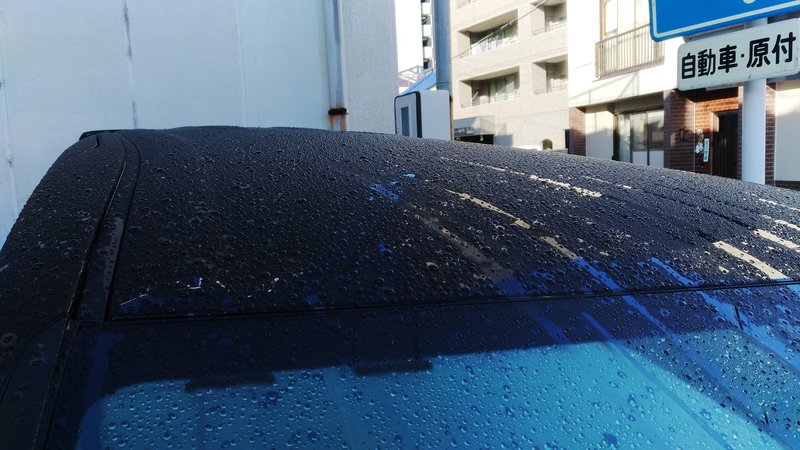 I washed the car without car shampoo for several times during that time. 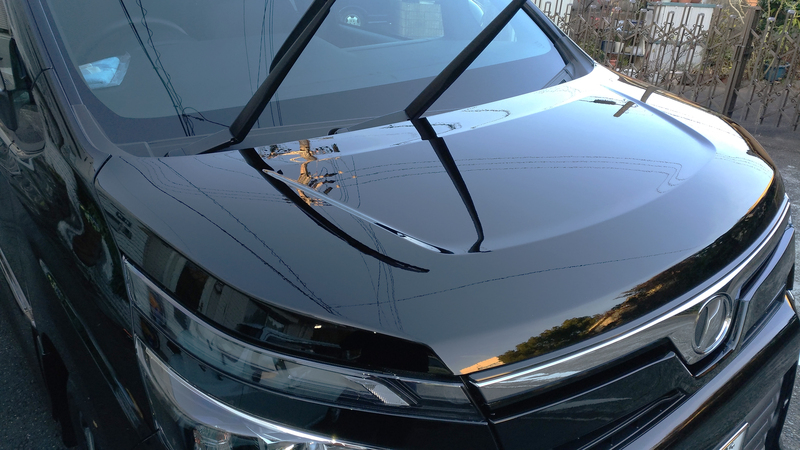 After 3 months water repellency is still great on car body and windshield. 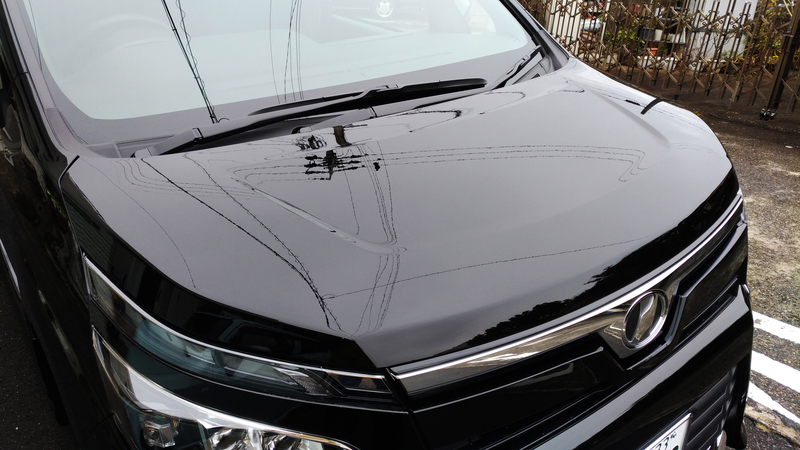 Washing with only water gives gloss and luster back again so I enjoy car wash. The only difficult point to deal with Pika Pika Rain PREMIUM was when to apply because I have no garage so I needed to check weather. I hope to keep this gloss for a long time.